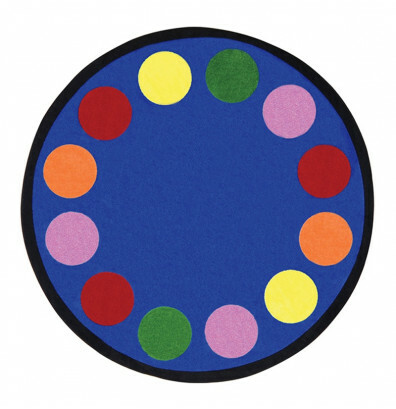 Joy Carpets Lots of Dots classroom rug offers a durable Stainmaster nylon fiber construction. 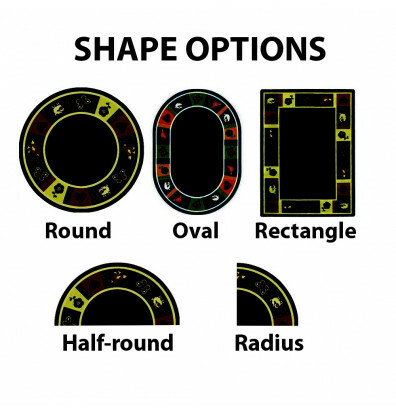 Primary color graphics feature dots. 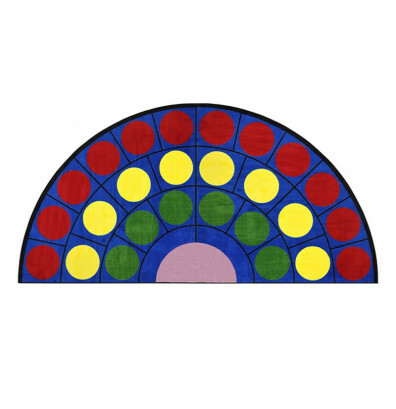 Available in various shapes and sizes. 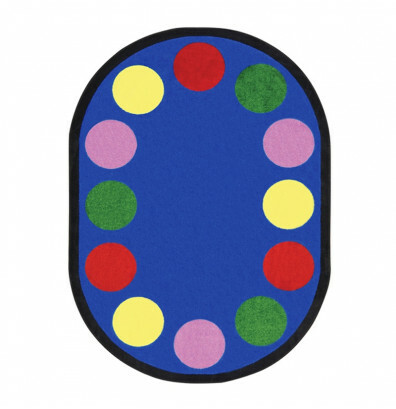 Joy Carpets Lots of Dots 1430-01 classroom rug offers a fade resistant graphic of dots using primary colors. 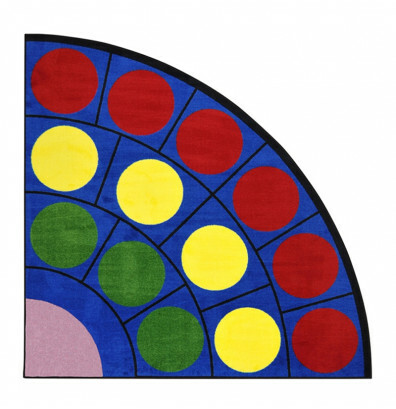 Make the transition from chairs to floor much easier with this organizational rug. 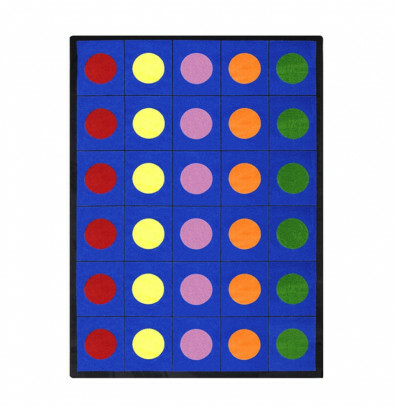 Each row has a color, and each child has a dot. With generously sized squares, kids can keep elbows and knees tucked inside. Available in various shapes and sizes.